Unlike pure online retail, in social commerce (also called social shopping), companies enter – and foster - an active relationship with the customer via social media. The goal here is two-fold: expand your customer base and reinforce a positive reputation online. Although social shopping is not anything new, its weight in today’s hyper-connected society most certainly is. And with technical progress unfolding around us daily, we firmly believe that people should remain at the centre of our business – and it is precisely this guiding principle that forms the foundation of social commerce. Unlike pure online retail, in social commerce (also called social shopping) companies enter into an active relationship with the customer via social networks or other interactions and the relationship is fostered between customers. The goal here is to expand the customer base and create a positive reputation on the web. Although social shopping is not a new business model, it is of great importance in today's society, especially in view of the increasing number of users of social media networks. True to our motto from Shopware Community Day 2017, we firmly believe that we must not lose sight of people in the midst of all this technological progress. It is precisely this guiding principle that forms the foundation of social commerce. Referral marketing, also known as word-of-mouth marketing, is proven to be one of the most effective marketing strategies for increasing your sales. People are far more likely to purchase a product that has been endorsed by somebody in their social circle. In the digital age, referral marketing takes direct and personal communication between customers to a whole new level, most popularly facilitating interaction through social media channels such as Facebook, Instagram, Pinterest and YouTube. When it comes to successful referral marketing, a high customer interaction rate is the name of the game. Social commerce companies communicate directly with their customers, emphasising personal relationships and transparency, which can greatly increase customer loyalty and trust in the brand. The focus of the "social commerce" principle is on authentic product recommendations that users make directly or indirectly to other users. Above all, this is a candid way for you to simplify purchasing decisions, increase confidence in your products and reach entirely new audiences and potential customers. Is your business suitable for social commerce? Does social commerce fit with your company philosophy? Which social media channels would be most appropriate for your business? Do you have available resources in your company? What methods do you want to use to create user-generated content and user recommendations? Start small and test different methods that encourage user interaction. Always remain authentic. The principle of "quality over quantity" applies to what you post in social media. To get attention from users, you need relevant, audience-specific content. In times of crowded timelines and ever-evolving algorithms, users do not want to be bothered with a mass of trivial posts. In addition, content needs to be optimised for each channel. Instagram requires different image formats than Facebook. You can find more information about recommended formats for social media here. Hyped or not, influencer marketing has the power to boost your sales. When it comes down to it, influencer marketing is nothing more than conventional referral marketing. The difference here is that "influencers" on social media reach a larger community because they have built up a fan base. But now more and more companies are relying on so-called micro-influencers. Reach and follower numbers are no longer as important, since companies are instead more concerned with authentic engagement and organic growth. Micro-influencers do not necessarily have such a large a fan base as someone like Cristiano Ronaldo, but they specialise in a specific topic, which makes them more believable. Together with companies, they produce relevant content for the target group. 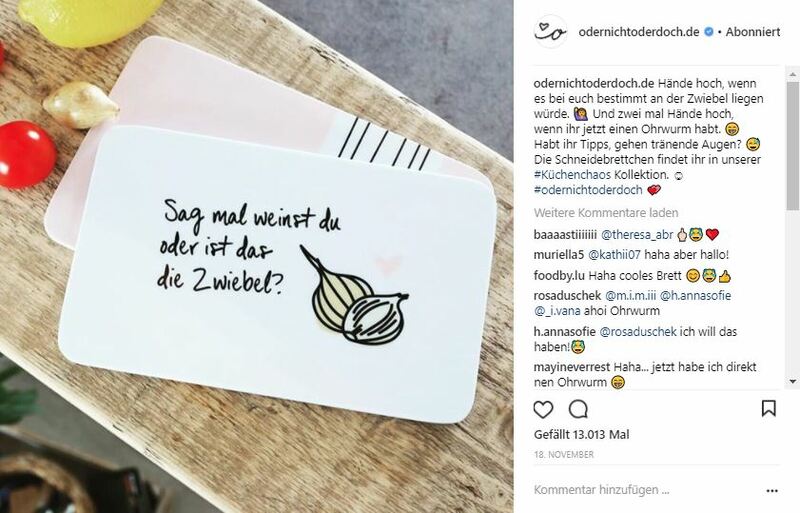 Since starting in 2014, Odernichtoderdoch has grown into a true social commerce brand by regularly posting accessible and authentic content. Their product range includes stationery, calendars, home accessories and other lifestyle items that are actively co-designed by the community. The secret of the brand's success and, at the same time, the cornerstone of the company's communication lies in its credibility, a characteristic which can be traced right back to its roots. Odernichtoderdoch was originally the personal lifestyle and fashion blog of its founder, Joana Heinen. Even before selling online, she grew her fan base of readers through posting relatable content. This picture shows a chopping board from the Küchenchaos collection by Odernichtoderdoch. The description text reflects what the company's design team thought about during product development. With over 13,000 likes and more than 260 comments, this post has a high interaction rate. Of course, these numbers cannot be used to derive any direct sales revenue, but they do show that Odernichtoderdoch creates relevant content for their community. As you can see in this example, many more users are tagged in the comments, so that the reach of the post increases rapidly. In order to promote customer interaction, the Odernichtoderdoch team regularly posts open questions and asks users to comment. 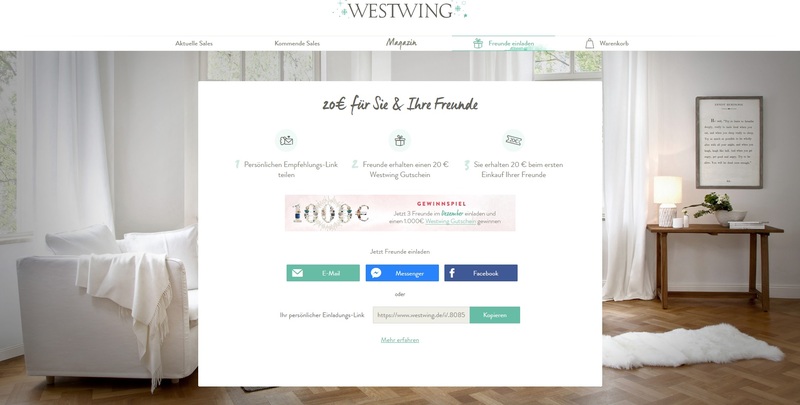 About You is one of Germany's most successful online fashion retailers. The success of About You is based on the idol concept. Influencers such as fashion bloggers or other TV personalities can set up their own profiles where they can assemble About You outfits and recommendations. 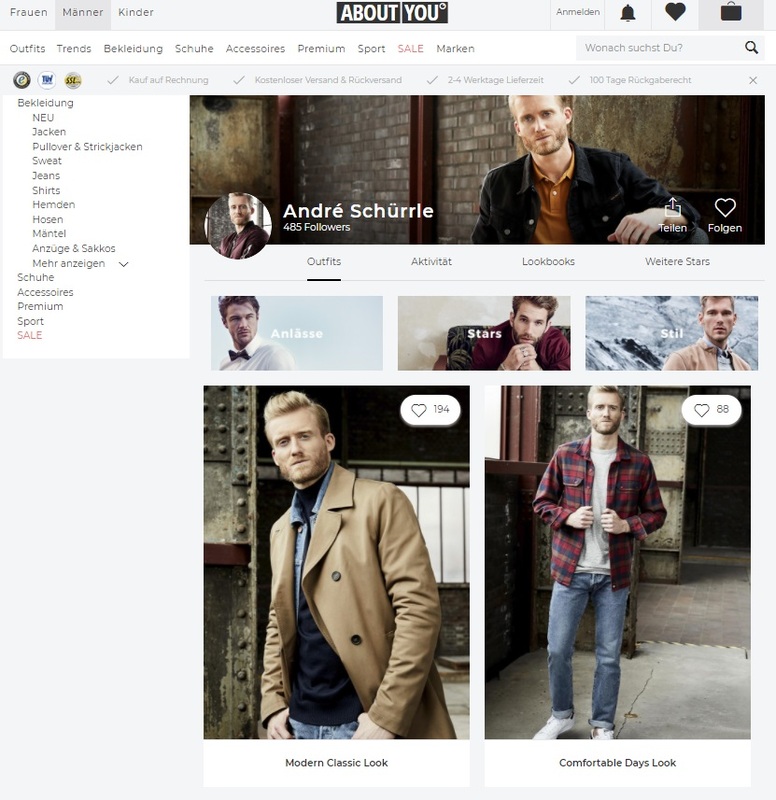 In the online shop, the "favourite outfits" of many familiar faces from social media or TV are presented in their own landing pages, allowing customers to purchase what they see. The fashion retailer builds eCommerce worlds around the idols, creating strong emotional appeal. To achieve this, the entire social media content is prepared and created, together with the idol, in one day. This includes photoshoots and videos, with influencers connecting with their own personal recommendations. For the company, it is particularly important to preserve the authenticity of the idols. The selection of influencers – from big stars to niche bloggers – is just as diverse as the fashion tastes of their customer base. Since last year, users have been able to create their own outfits, collages, photos and product lists. Users can follow each other and expand their reach on the platform. With this step, About You is pursuing the idea of user-generated content to achieve even greater reach and customer loyalty. With the increasing importance of social media networks, social commerce has become crucial for the success of many online retailers. With an authentic communication strategy, you can generate growth with the help of social media channels. Social commerce should be about developing a community and facilitating interaction between customers. The potential of a more connected world has also been recognised by Facebook CEO Mark Zuckerberg, who is proactively pushing this topic. Stay in touch with your customers and make them and their needs the focus of your actions. Our technology partner Nosto is organising a Social Commerce Week from April 10 - 12. In the course of six online sessions, you can gather exciting insight and input from speakers like Facebook and Foursixty.